The best OTF knife is a specialized knife with a relatively small piece of the knife market. 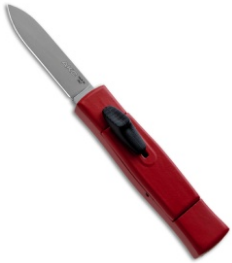 Thanks to the mainstream media, however, these knives have become more popular. 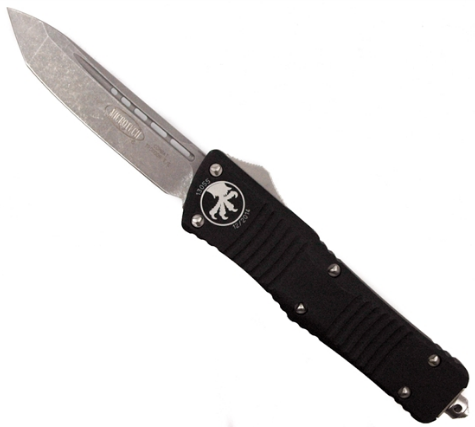 The OTF is very similar to a switchblade and, is indeed, a type of switchblade. Those not familiar with the OTF will confuse it for a traditional switchblade, which it isn’t. 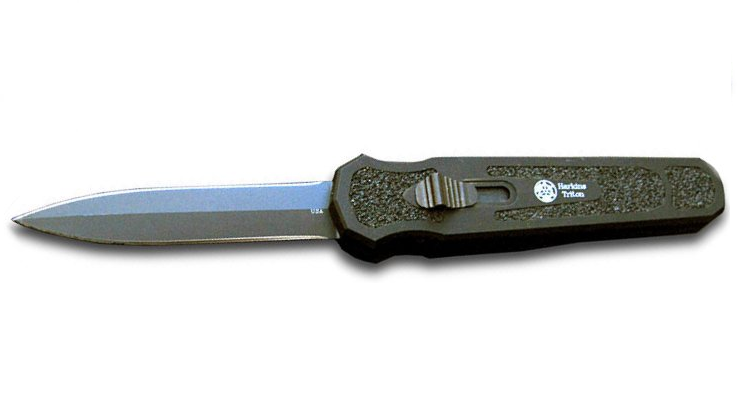 The difference between an OTF and a switchblade is found on the way that it is deployed. In a traditional switchblade, the blade folds somewhere around the handle from a fixed point. 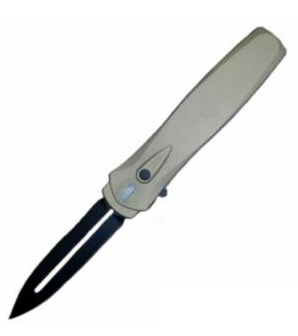 With an OTF, the blade moves directly forward from the handle, or “out-the-front”. While you are shopping for this knife, you might also hear them referred to as “sliding knives”. These two knives are generally the same as long as the blade deploys directly parallel from the handle. While they are becoming more popular, there are few manufacturers and OTF brands producing these unique knives. As with any other product, the quality of the OTF brands varies from average to phenomenal. Below we’ll first discuss the two types of OTF knives, the importance of understanding the differences in the knives provides in-depth reviews of different OTF knives from various blogs, provide a buying guide for your convenience. 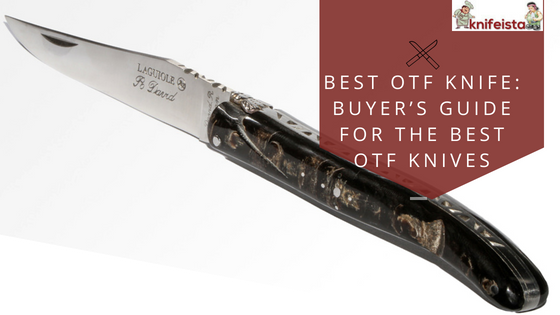 The best OTF knife was designed to be light-duty knives that were used by people who usually had on hand occupied. 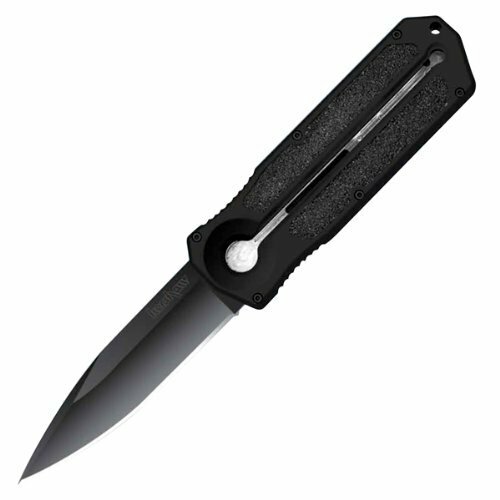 The ability for one-handed deployment, usually through a raised thumb-stud, made the switchblade practical. They eventually evolved to have mechanical systems of deployment. 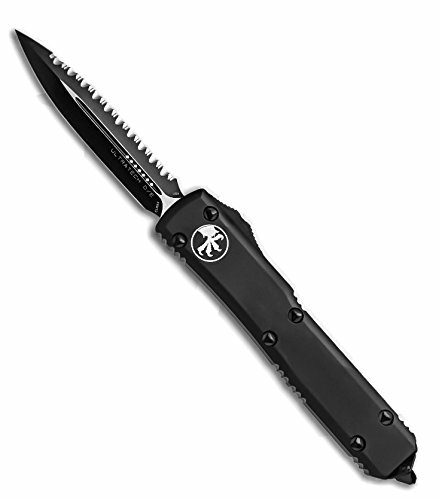 There are three types of OTF switchblades available – single action, double, or dual-action, and manual. Single OTF’s are closed manually and use a spring mechanism to open the blade. 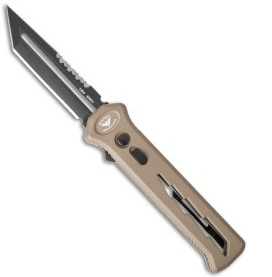 The dual-action OTF’s use the spring action mechanism for both the opening and closing of the blade. The manual OTF’s use no spring mechanism and much like the first OTF designs use a sliding button to open and close the knife. These blades shouldn’t be used for self-defense because the spring-system can fail, which can put the user in danger. Higher-end OTF’s are great additions to any knife enthusiasts’ collection. They can also have a WOW factor because of their design and unique way of deployment. The best OTF knife ratings were rated based on quality, durability, customer reviews, and the reviews done by bloggers who are knife enthusiasts. We also considered the popularity of the blogs as a proof of their authenticity and authority. 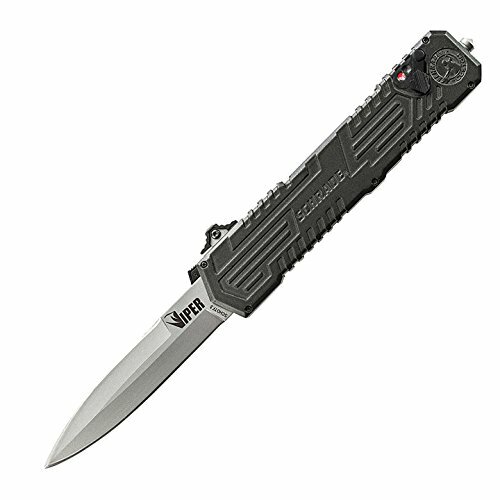 The Microtech Ultratech is the brand for the best OTF knife. It is arguably the most well-known brands for high-end automatics and OTF brands. The Ultratech is their flagship OTF and comes in a wide-variety of styles. In one version the blade is made of Elmax steel, which comes in drop point, tanto, and dagger blade grinds. There are even hybrids, like the “Hellhound”, which comes a mix of the tanto point and clip point. The few characteristics these knives share are the aluminum handle that is chamfered around the edges, a right-hand tip-down deep carry clip, and proprietary “tri-angle” hardware. The Benchmade Infidel is known to be the best OTF knife on the planet, and arguably, one of the most well regarded. 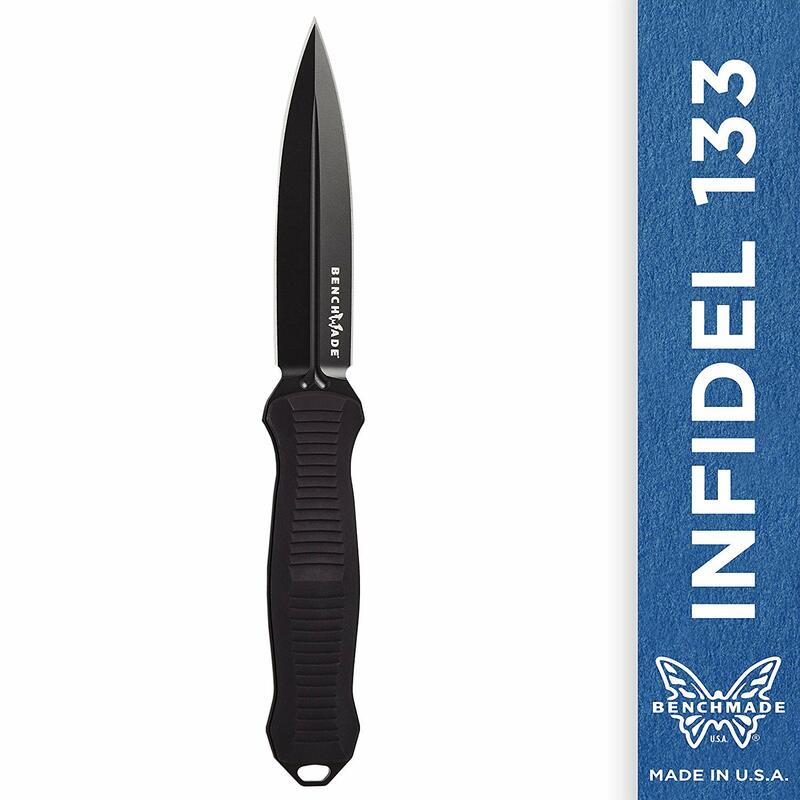 This knife comes in two sizes - the 3300 Infidel and the Infidel Mini. The 3300 3.95’’ inch blade and 8.95’’ overall length, weighing in at 5.00 ounces. The Mini 3.10’’ inch blade and 7.10’’ inch overall length, weighing in at 3.40 ounces. This is a dual-action OTF that pushes as good as it pulls. Unlike other OTF’s, the switch is mounted on the handle instead of the spine. This gives is a more natural feel on your hand and a better grip when the blade powers open. This OTF is on the pricier side, but a good addition to any knife collection. This OTF is a good, dependable and budget friendly. It’s compact and is pocket-friendly. It comes at a price that is hard to beat and is quite smooth to come at this price point. It comes pretty sharp straight from the box. The only drawback is that it will need regular sharpening and maintenance if it is used frequently. The Ashville Steel Para-X is a single action OTF, which means is power in the deployment, but not in the retraction like the old-fashioned OTF once were. This isn’t unusual for Ashville Steel who is known for their old-fashioned trademark style, though the company has only been around since 2007. Ashville Steel produces a limited amount of interesting and bizarre looking knives, such as the Warlock and newer Phoenix, examples of gravity knives. The Para-X has an aluminum hand with a right-hand dip down carry pocket clip. It comes in a variety of options and models. Below the plunge lock is located with a safety switch which locks the blade either open or closed. This is a great option if you want an interesting OFT that won’t cost you as much as the Microtech models. The Schrade Viper is totally designed and made in the U.S.A. and falls within an affordable price range. The blade is around 3.5’’ and is of a good quality. Reviews say that it has an impressive design, is of overall good quality, and is very functional. Not surprisingly, the affordability of this OTF factors in heavily in the ratings since most other OTF can be quite pricey. For the functionality and moderate price, this is a great Schrade OTF to add to your collection. Protech is known for it’s sleek, smooth design and hard to match finish. The Dark Angel is a single action OTF with a plunge lock that is used to release the blade and a little flipper tab located on the belly of the knife that would be used to retract the blade. The Dark Angels come in two types – production and custom. The knives are incredibly light, weighing in at 3.60 ounces, even with the built-in automatic mechanism. You can get the knives in a black and desert sand anodized aluminum handle and a satin, black and smoky grey DLC (black blade only) blade finishes. This can be a beautiful splurge to add to your collection. The Kershaw Ripcord Knife OFT carries a higher price tag, but the price is more of the norm in the OTF category. The price, however, can become very high and you need to be ready to make a hefty investment for this OTF. You can be sure that with the backing of the Kershaw name you will be getting the quality that comes along with the investment. The blade of the Kershaw Ripcord Knife is made with Sandvik 13C26 stainless steel and the handle is made with anodized aluminum to keep the feel lightweight. With speedy deployment and overall high-quality, this would be a great first if you’ve never owned a Kershaw. Another OTF from Microtech, the Combat Troodon is a dual action OTF which comes with an immense amount of options and finishes that will satisfy any owner. This OTF is the toughest, beefiest, and worst of the OTFs and it has the price tag to prove it. The price for this beastly OTF ranging from shocking to speechless, depending on the model. The Combat Troodon comes with different blade design options which you can choose depending on what you’d like to use it for. The blade comes in at 3.8’’ and weighs 5.5 ounces. If you want a big and bad OTF that also happens to be top of the Microtech line, this is the one to get. The Deadlock is a dual-action knife which was engineered to try to fix the problem of a shaky blade that often results from regular fast-shooting deployments. Built into the frame is a secondary lock mechanism which eliminates play on all three-axis by locking the blade upward and to the side, while the primary mechanism holds it in its forward position. This OTF is designed and built by hand by a father and son team in-house. They’re built with high-quality materials so, if you want one of these handmade OTFs, expect to wait patiently and pay a high price that ranges into the 4 figures department. This OTF is actually a star with an appearance in the cameo of the James Bond movie, Quantum of Solace. The Triton has a blade that is 3.6’’ in lengths and weighs 4.1 ounces. It’s a dual-edged dagger grind that can come either plain or half-serrated with a black coating. Its design lends to a comfortable grip and a steep ramp on the thumb switch which makes slippage less likely when you are deploying or retracting the blade. This OTF is not budget friendly but is reasonable in comparison to some on of the higher prices OTFs on the list. When choosing an OTF to purchase there are a few things to consider. One major consideration when purchasing the best OTF knife is that of a price. As stated earlier, purchasing one of these unique knives is an investment that you want to consider carefully. After locking in an appropriate budget, here is a list of a few other qualities you should look for in your OTF. The OTF knives come in a variety of lengths and weights. The size of the blade is a determining factor in which tasks you can use the knife for. Larger knives are better suited for outdoor activities and jobs that are on the heavier side. Smaller knives are better for daily use and to carry in pockets. When carrying a knife, remember to be aware of the laws in place in your state. The blade edge can determine the effectiveness of the blade when performing particular tasks. Think about what the main uses of your OTF will be before making your purchase. The blades can be straight-edged, fully-serrated, and partially-serrated. The straight edges blades are easily sharpened can are used for clean cuts. A fully-serrated edge can be used for cutting tough materials, such as rope. These edges stay sharper longer than straight edges. A partially-serrated knife is the most versatile and gives the best of both worlds. The shape of the knife determines the strength and integrity of the blade. The shape designs are meant to increase flexibility and endurance of the blade. The tanto shape incorporates angles and its design makes it sturdy. The drop point is commonly used for hunting. The design of the tip ultimately allows the blade to be thicker and makes it more durable. The spear point is double-edged, allowing users to use both sides of the blade. These are normally used as daggers. We hope this guide helps you on your hunt to beef up your knife collection. Everyone will be impressed. Trust us. Featured Image via Amazon.com logo, text and banner added.